NT Sports & Playground Surfacing were successfully contracted to design and construct a new synthetic cricket pitch and associated lane and perimeter fencing for Waratah Cricket Club. 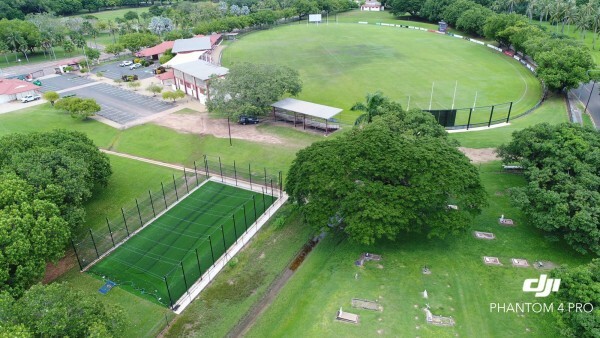 This project was a joint venture with the Northern Territory Government Immediate Work Grants Program, City of Darwin, and Waratah Cricket Club. Geological Technical Testing was performed onsite prior to construction to determine soil density and from that report amendments were made to the design of the training facility to then allow all NT engineering and certifications to be issued upon completion. We commenced works in August 2017 and completed the project in October 2017. ● Temporary fencing erected for duration of project. ● Installation of concrete pad with reinforcing. ● Supply and install of chain mesh fencing, retractable lane netting, rear and roof netting. 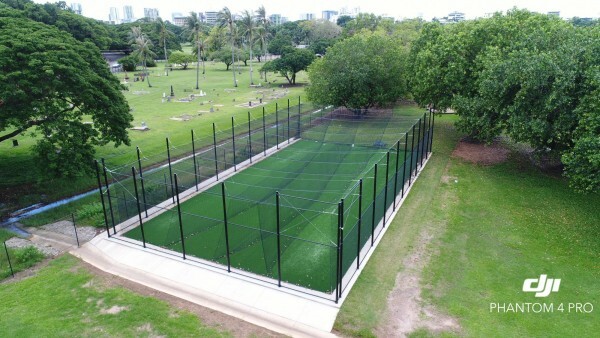 ● Supply and install of APT synthetic cricket wicket turf. ● Detailing of site for handover.